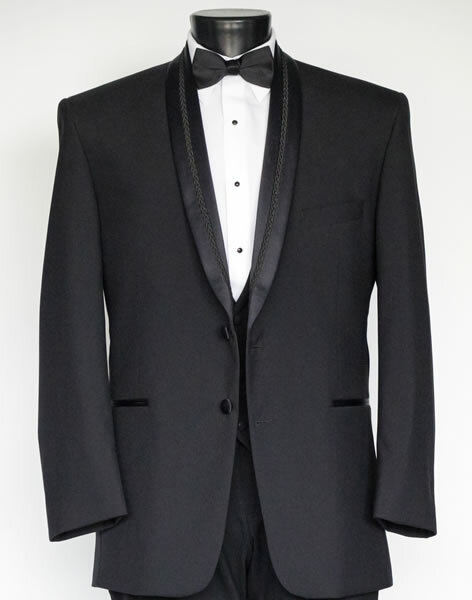 Tuxedo rentals for weddings, proms and special events. 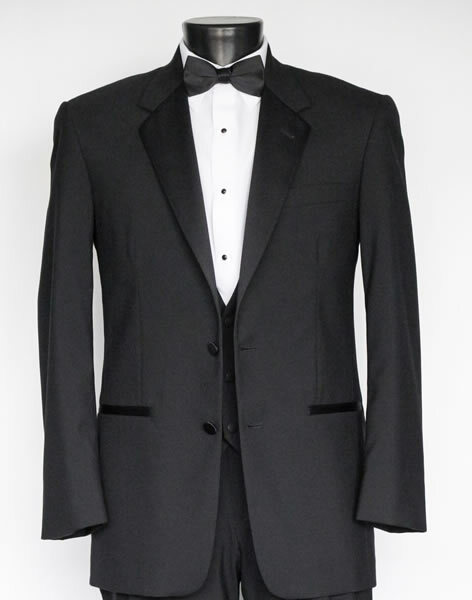 We offer tuxedo rental in the store, as well as advice and real life experience to get you the perfect look and fit. We carry all of today's most popular designers, Allure Men, Perry Ellis, Jean Yves, After Six and more. 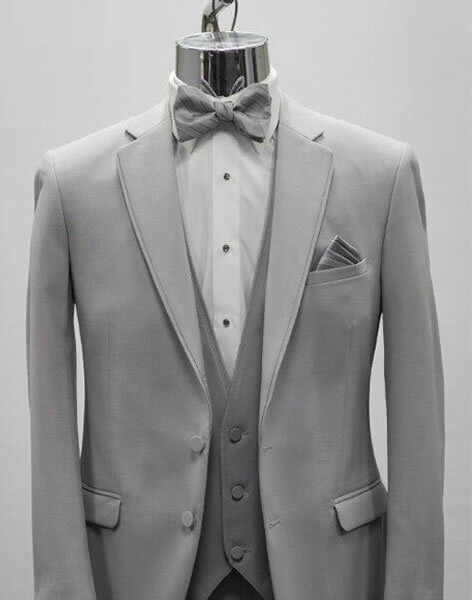 We can outfit your entire wedding party, or help you look your best at the prom. 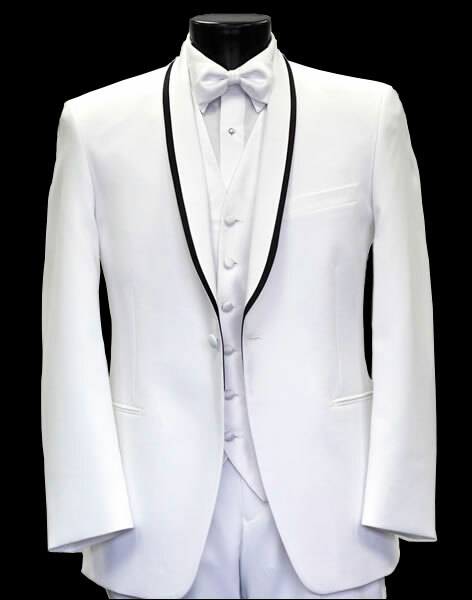 There are over 50 styles to choose from, in black, white, ivory, tan, navy and gray. 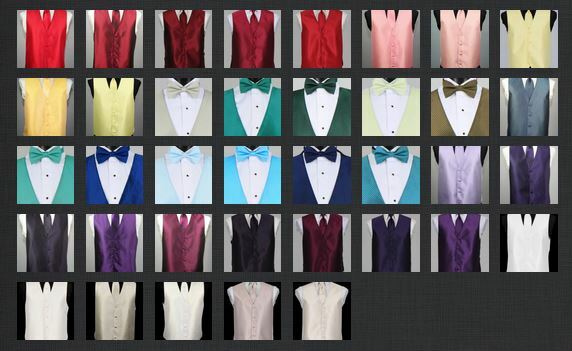 There are hundreds of vest and tie color combinations to match any wedding decor. 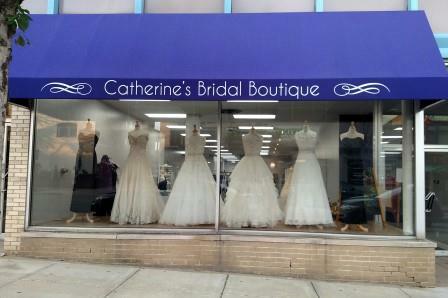 We are confident that we can match YOUR wedding color! 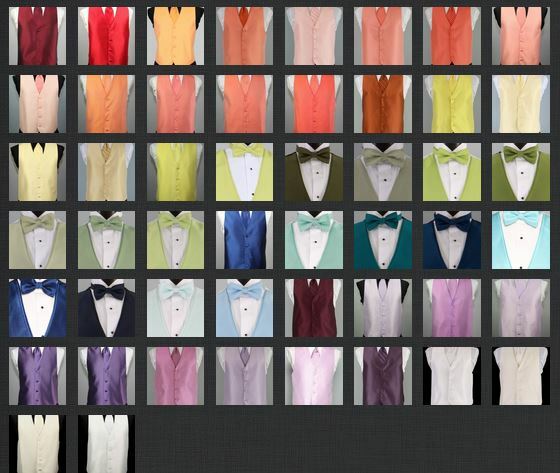 Stop in the store to see fabric swatches of all of the colors that we offer. You can also preview our selection below. Our rental fees range between $99.00 and $150.00, depending on which style you choose. 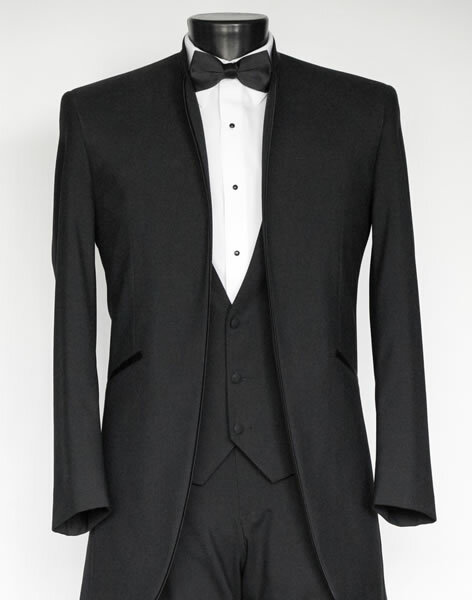 These prices include everything (jacket, shirt, pants, vest and tie), except shoes. Shoe rental is also available. Rent 5 and the Groom's Rental is FREE! It's not hard to do, even if you have a small wedding party. 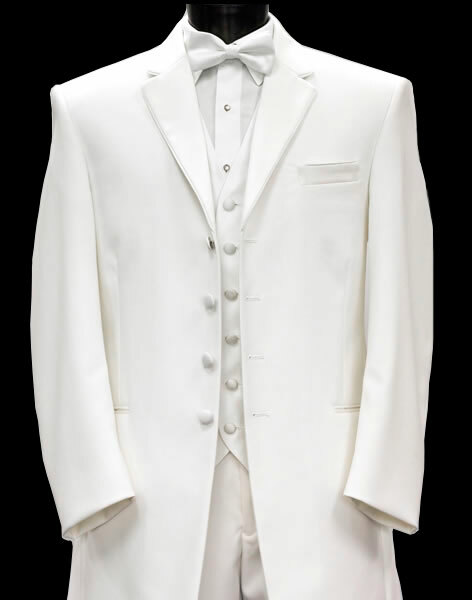 Don't forget to include the ushers, readers, fathers, grandfathers, ring bearers and any other special men in the party. Need more than five? 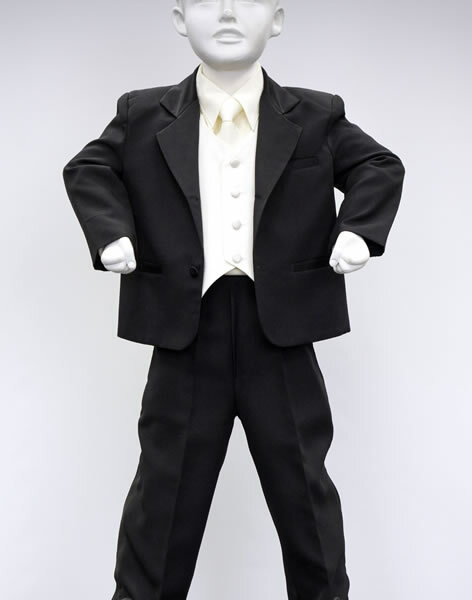 Get a Free Ring Bearer Suit with 10 rentals! That is in addition to receiving a free rental for the groom. That is a savings of over $200! 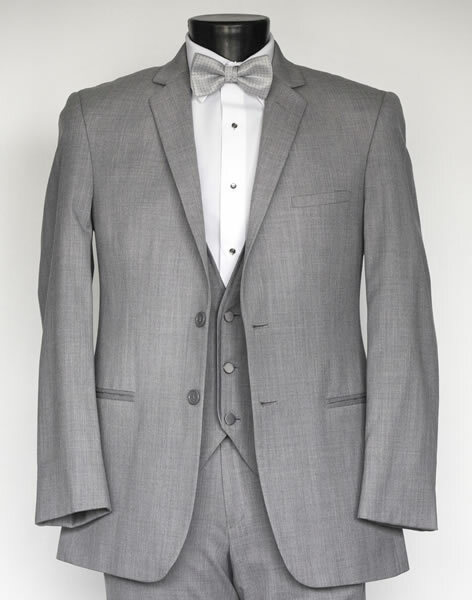 When it comes time to outfit the groom, you will find that you have many options. 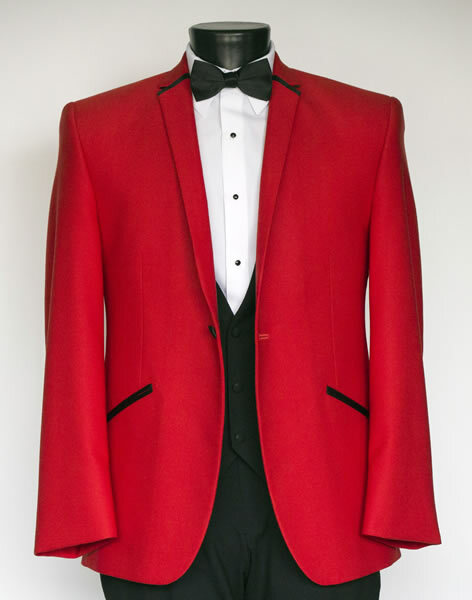 Even subtle differences in the style of the jacket and other options will convey a different message. So, choosing the right one will add to the overall look and theme of your event. 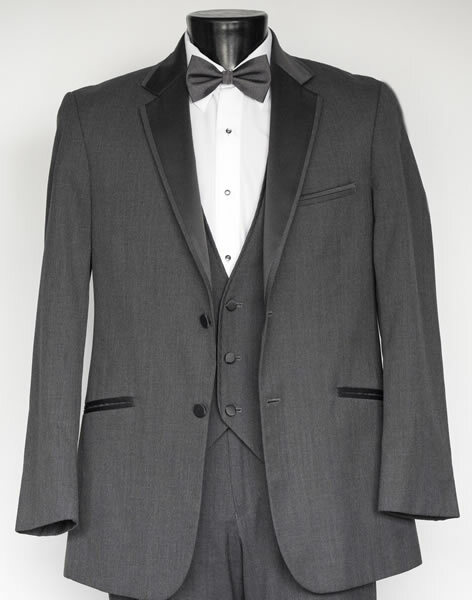 For a traditional look, choose a black or gray jacket with a single button that has shawl, peak or notched lapels. 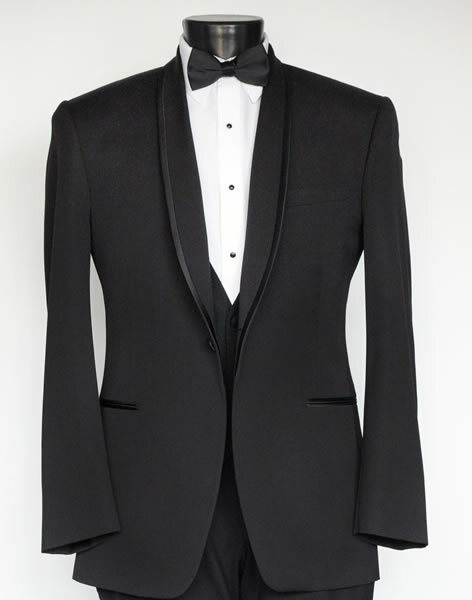 Bow ties are part of the traditional look, and are back in style, by the way. 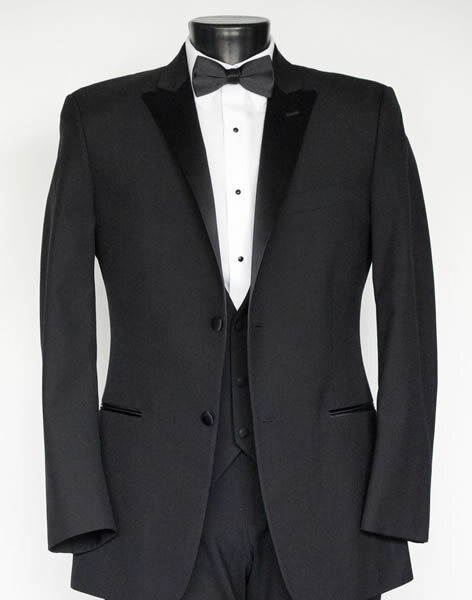 Update the traditional look by choosing a black shirt, rather than the standard white or ivory and a long, standard tie. 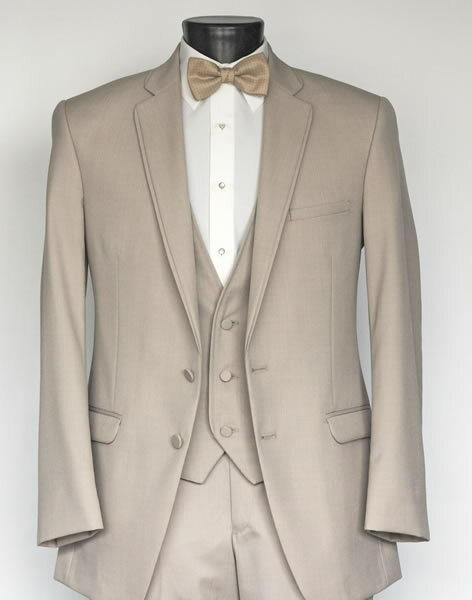 There are also some new styles out in tan and chocolate brown ~ very classy! There are so many small options to consider when choosing the perfect, overall look, and that is part of the fun! 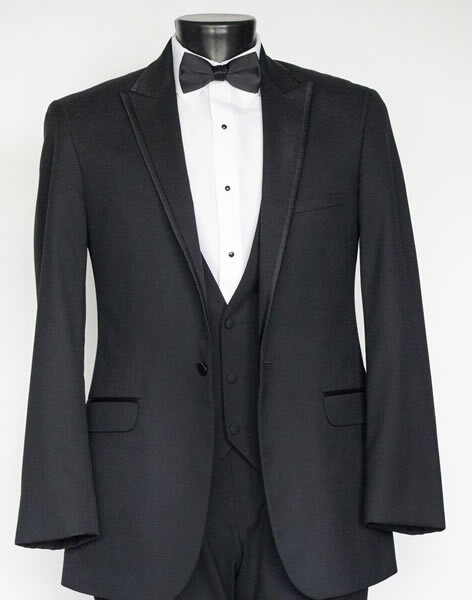 You have the option of the wing or regular collar shirt, cummerbund or vest, bow tie or long tie, add suspenders, pocket squares or wing tip shoes...the list is endless.